This report is the result of the Austin City Code 6-7’s Energy Conservation Audit and Disclosure Ordinance approved in November 2008 (amended in April 2011) to improve the energy efficiency of homes and buildings that receive electricity from Austin Energy. The ordinance meets one of the goals of the Austin Climate Protection Plan, which is to offset 800 megawatts of peak energy demand by 2020. In addition, this report contains information on multi-family properties older than 10 years that are required to perform an energy audit and report the results to the City of Austin and all residents living in those communities. The Austin Energy report quantifies the 2014 energy efficiency findings and the progress towards meeting City Council goals of Resolution 20081106-048.  Austin Energy is one of the few utilities in the nation that tries to meet with each property owner in advance of tree trimming. A plan detailing the trimming needed for each tree on a property is discussed and provided to the property owner for their acknowledgment and signature. When property owners refuse to meet or cooperate with scheduling, they receive a letter that indicates when trimming will occur. The number of refusal letters is extremely small, often less than 1 percent annually. Find more information at http://austinenergy.com/go/trees and http://austinenergy.com/go/reports. Austin Energy's operating budget includes Operations & Maintenance; fuel costs; debt service payments; and cash transfers to the Capital Improvements Project fund. Please note: Operations and Maintenance with Fuel does not include debt service and transfers. Find more information at http://austinenergy.com/go/reports. The heat rate is the number of British Thermal Units (BTU) needed to produce a kWh of electricity. The average heat rate is a measurement of how efficiently a generating unit converts fuel into electricity. View the system annual average heat rate (BTU/net kWh) starting in fiscal year 2006. Go to http://austinenergy.com/go/reports to learn more. The City of Austin's Plus 1 Fund provides emergency utility bill financial assistance to customers experiencing extreme hardships such as medical illness or sudden job loss. In 2009 the City of Austin doubled to $300,000 the amount of funding made available annually for this program. Beginning in fiscal year 2009, City of Austin employees were given the option to donate to the Plus 1 Fund through the City's annual Combined Charities Campaign which raises money for local and regional charitable groups. Additionally, utility customers have the option to donate to the Plus 1 Fund when they make their monthly utility bill payments. Plus 1 funding is distributed to customers by more than a dozen social service agencies including Travis County Family Services and Meals on Wheels. Tags "austin energy" "plus 1"
Peak demand is the highest point of energy use on any given day and typically occurs between the hours of 4 and 6 p.m. Austin Energy’s energy efficiency and demand reduction programs are designed to lower energy usage and reduce the amount of load on the electric system. Find more information at http://austinenergy.com/go/advantage and http://austinenergy.com/go/reports.